On wikipedia, writer Tom Lloyd notes of Super Bock: "This is a truly heroic beer, that does justice to a truly heroic nation". I wholeheartedly agree with that statement. I grew rather fond of this on a 3 day trip to Lisbon last year. I must have had 4 or 5 liters of this stuff in Barrio Alto at all hours of the night. Its the perfect drinking in a back alley beer, which is essentially what drinking in Lisbon is like. In the end, this is an above par pilsner lager that aims to get the job done. 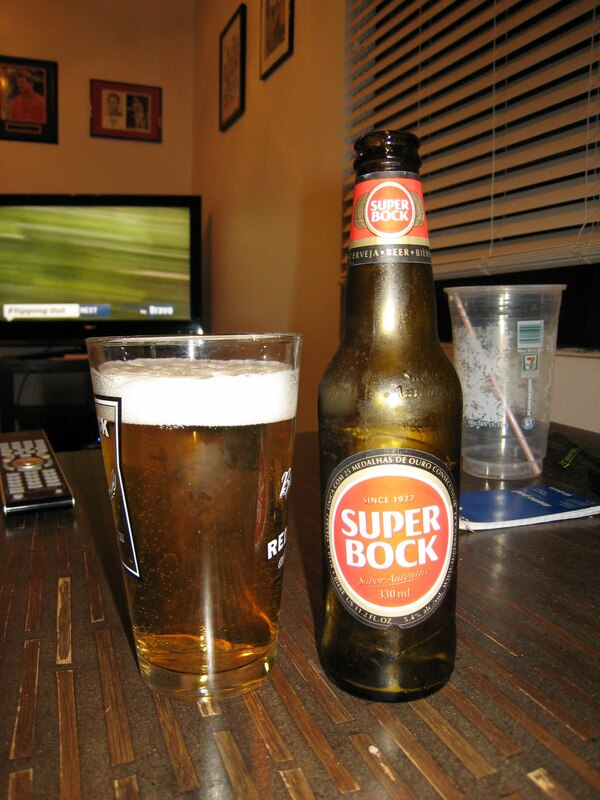 Of course, Super Bock is from the north of Portugal, which is a rather different place from Lisbon. You should go for a trip there, by the way - it's well worth it!